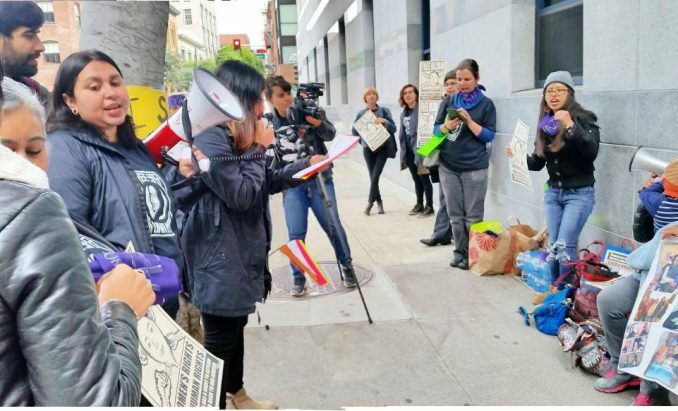 San Francisco – This reporter attended a rally on May 11 in support of domestic violence victim Yazmin Elias at the Immigration and Customs Enforcement Detention Center on Sansome Street. A number of Yazmin’s supporters lined up in front of the building waiting to be admitted to attend the hearing. 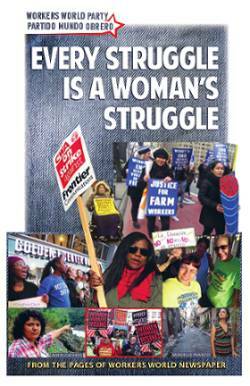 This reporter handed many of them a copy of Workers World newspaper. A Homeland Security guard who witnessed this came out of the building and told each of those holding the paper that they would not be allowed inside with the paper. Most felt compelled to return the paper so they could go into the hearing, although one person tucked it inside his jacket. I asked the guard if this “rule” applied to all newspapers or just to Workers World. He claimed it applied to all newspapers. 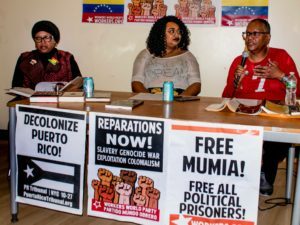 In fact, when people entered the building, they were subjected only to a typical security check — putting their things in a plastic bin and then walking through metal detectors. No one was questioned about whether they were carrying any newspapers, and no one was searched for newspapers or other literature. 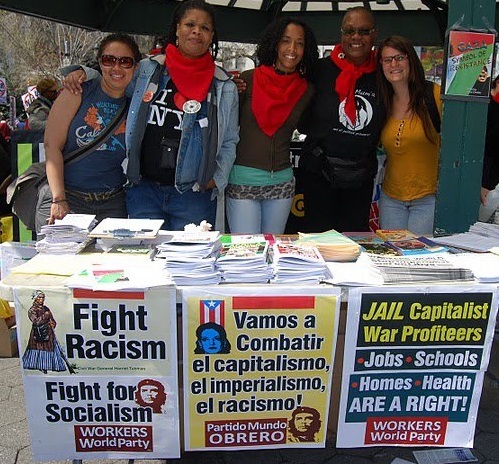 Workers World is taking steps to challenge this censorship by the state. The incident comes immediately after Workers World newspapers were stopped for a month from entering the Pennsylvania prison system. The reason given by prison authorities was that the papers contained articles in support of May Day general strikes.